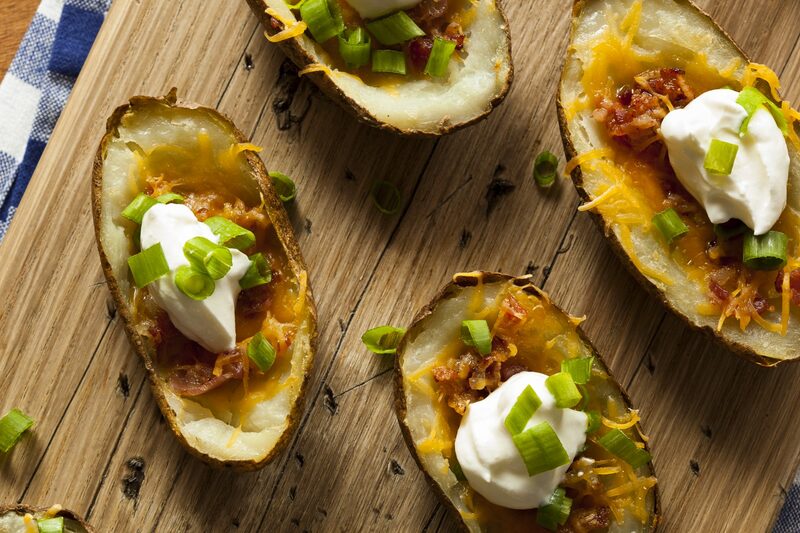 If you've ever had to choose between a baked potato or pizza for dinner, just know that you'll never have to choose again, because why choose when you can have both?! We're about to embark on a delicious journey that's going to take baked potatoes to the next level, so bear with me today as I test out All You's fabulous Pepperoni-Pizza Baked Potatoes. Are you ready? Let's get started. Step one, preheat the oven. Next, we've got to start with our potatoes. This recipe calls for four potatoes, but if you're cooking for more than four people, just add however many more potatoes you'll need and adjust cooking times and the amount of other ingredients accordingly. Rub each potato down with some olive oil and set them into a microwave-safe dish. I covered the dish with a loose paper towel and set them to cook in the microwave for 10 minutes. While they're cooking, you can start to chop and sauté the mushrooms and onions, as seen below. I sautéed these veggies until they were soft and the mushrooms started to brown. Then, simply add an 8 oz. jar of pizza or tomato sauce of your choice. The rest of the ingredients that you'll add to this mixture are some italian seasoning, salt and pepper, and sliced pepperoni. So simple, right? You can keep the pepperoni slices whole, or chop them up into smaller pieces like I did. At this point, your potatoes will probably be done in the microwave, so just be careful as you move them from the dish onto the baking sheet. Bake them in the oven for 15 minutes or until the outsides are crisp. 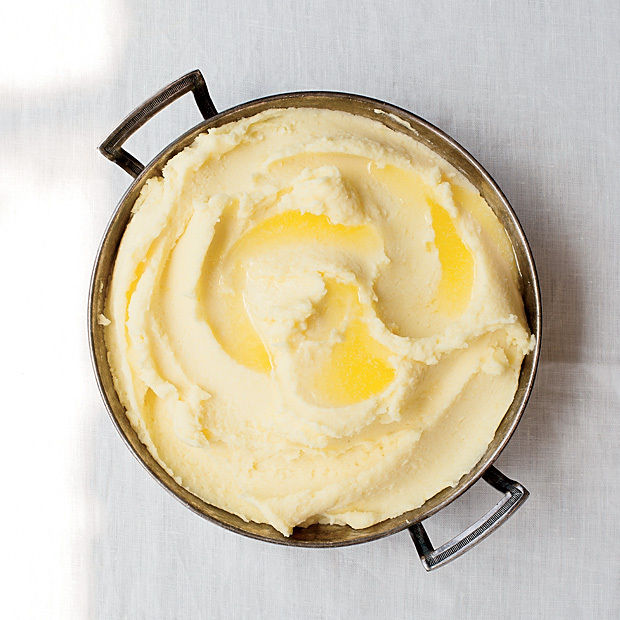 For each potato, slice them lengthwise down the middle and check the insides to make sure they're done. Spread the potato apart and top with the tomato mixture and lots of mozzarella cheese. To get that browned and melted cheese on top, simply pop the potatoes back into the oven for about two minutes under the broiler. And that's it! In the end, you're left with a really awesome, delicious, and easy way to enjoy a baked potato when you're also in a pizza kind of mood. Just remember that these potatoes are HOT when they are fresh out of the oven, so just let them sit for about 3 minutes before digging in, because I learned that the hard way. It's easy to get excited and want to taste it right away! This would be a great recipe to also experiment with other pizza toppings, such as veggies, sausage, or different kinds of cheeses. Also, by wrapping up leftover potatoes and putting any extra tomato sauce topping into a container, this recipe makes for a great lunch the next day. Did you dig this recipe? Let us know in the comments! We'd love to hear from you. You can also join the discussion on Facebook where we debut our newest featured recipes daily and share our favorite tips, tricks, and videos. And as always, if you try out this recipe yourself be sure to snap a photo and tag us on Instagram with #CookWithConfidence!